NETAMBIT INFO SOURCE and E- Service Company: NetAmbit company hiring -How to apply for jobs, hiring, Walkin interviews details. Find here details and contact information for applying to the current vacancies in the company. Most of the vacancies are for 12th pass freshers for telecalling, telesales, and outbound process. The company generates leads for Insurance and telecom companies through telecalling and telemarketing. 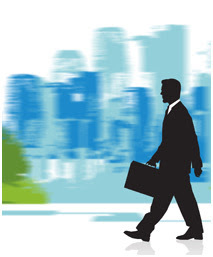 Walkin Interview for NetAmbit company-Net Ambit company deals with many financial products. Net Ambit is basically an outsourcing company in domestic BPO call center sectors. Net Ambit has been a pioneer, leading domestic BPO company in India for its services in Finance and Insurance sectors. Here you can find some new openings at Net Ambit for Delhi, Mumbai, Noida locations. You can apply for jobs in NetAmbit company by sending your latest CV or contacting the HR department. In this Joblog we have targeted mostly the telesales, telecaller or executive level openings in Netambit Company, Noida. Net Ambit has its offices in mainly Noida, Delhi, Mumbai, Chennai, and Bangalore as of now. Please read through below openings for direct walkin interviews in NetAmbit company. We have mentioned all the current address of their work places where direct interviews are being conducted. Still, it’s a good thing to check on their website before directly walkin for the interview. You can also apply by uploading your recent/updated resume at Netambit’s official website, which we have below mentioned in this post. Laxmi Nagar, Anand Vihar, Bhajanpura, Shahadra, Ghaziabad, Noida sec 132. Transportation-Pick and drop Cab facility offered. 200 telecallers required For Hindi Outbound Telesales Profile. Interested candidates please send their CV for a direct interview in the company. get on the spot job offer! we are providing recruitment facilities to companies on PAN india level. if you have any . Are you comfortable for noida..? hello sir I want a job in this company plss give me any suggestions how can I join this. my name is Priti verma, I m from uttar pardesh bulandshahr, I have completed graduation in 2015..now I m searching a job.